Following the merger of Merck and Schering-Plough, which has resulted in Merck companies outside America being renamed MSD, Deepak Khanna has been appointed managing director of MSD in the UK. Prior to this, he was general manager of Merck/Schering-Plough Pharmaceuticals, managing all aspects of the joint venture in the US. 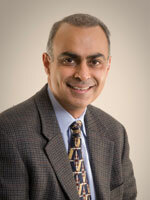 He began his career at Merck in 1988 in field sales and progressed within the US human health division. In 1996, he joined the worldwide human health marketing division, before rejoining the US human health division in 2001 and heading the Migraine Franchise Business Group. In January 2003, he was promoted to vice-president of the Atherosclerosis Franchise Business Group. He holds a BSc in biochemistry and economics from the University of California, Berkeley, and an MBA in marketing from Santa Clara University, California. Aurora has promoted two long-standing team members. Sarah Hoffman joins the management team as associate director, and Carolin Prasmo is promoted to account manager. Sarah joined as account director in 2006 from Edelman. She previously worked at Fleishman-Hillard with Aurora managing directors, Claire Eldridge and Neil Crump. Sarah directs the agency's Lilly and Roche accounts and Aurora's partnership in GLOBALHealthPR. Carolin joined in 2007 from Bell Pottinger where she worked with Aurora senior account manager, Aaron Pond. She works on client accounts for Fresenius Kabi, Lilly and Roche. Actelion UK has appointed Robin Bhattacherjee to the role of general manager for the UK and Ireland, based in London. Prior to this, Robin was executive director at CV Therapeutics (CVT) Europe, where he established the European office, developing and launching a range of specialist cardiovascular products and identifying and establishing CVT European marketing partnerships before the company was acquired by Gilead Sciences in 2009. With a pharmaceutical career spanning over two decades, Robin has held several managerial roles, including head of cardiovascular marketing at Sanofi-Synthélabo UK and marketing director within Bayer's global strategic marketing group. Synexus has appointed Grant Barnett as its business development director. He has extensive global experience in the pharmaceutical sector, including Schering-Plough, and with several contract research organisations. His most recent role was with Kendle International, where he spent two years in business development, working with European and Asia Pacific-based pharmaceutical and biotech customers. Matt Jones has been appointed to the account management team at Draftfcb Healthcare, Europe and Middle East, part of the global consumer agency network Draftfcb. He will be working with the existing healthcare specialists and the consumer, planning and digital teams in support of the healthcare clients. Emily Armstrong has joined PAN Advertising as group account director, from Torre Lazur McCann, where she spent the previous 11 years, most recently as senior account director. Emily will head a business unit within PAN, having account responsibilities for Bayer Schering Pharma, GSK and Roche. She has worked on UK, European and global accounts and has experience of brands including Lipitor, Cipramil, Levitra and Zyban. Double Helix has recruited Sahil Kirpekar and Enrico de Nigris to the market access team. Sahil has worked as a doctor in both the UK and India, where he graduated. He has been involved in global pharmaceutical projects and with the World Health Organisation in Geneva. He holds a masters degree in bioscience enterprise. Enrico is an experienced health economist, having been an outcomes research manager at Pfizer and having worked in the academic sector. Sanofi-aventis has announced a number of changes to its executive committee. New business activities beyond pharmaceuticals will be handled by Hanspeter Spek, who takes the role of president, global operations. He was previously executive vice-president, pharmaceutical operations. Marc Cluzel is appointed executive vice-president, research and development. He was previously senior vice-president, research and development. In recognition of the essential role of Sanofi Pasteur, the vaccines division, Wayne Pisano, senior vice-president, vaccines, joins the group's executive committee. AstraZeneca has announced three senior personnel changes. Jan M Lundberg, executive vice-president of discovery research, has resigned to pursue other interests outside the company with immediate effect. Christer Köhler, who heads global discovery for central nervous system and pain control, has been appointed as the interim leader of discovery research pending the final appointment of Jan's successor. Abigail Baron has joined the AstraZeneca corporate medical relations team, based in London. She previously worked in media relations and product communications in the company's US business. David Stout has joined the board of Shire as a non-executive director. He has extensive pharmaceutical experience, having been president of pharmaceutical operations at GSK, responsible for activities in the US, Europe, Japan and all other international markets. He was also responsible for global manufacturing and biologics at GSK. Prior to that, David was president of GSK's US pharmaceuticals business and, before that, SmithKline Beecham's North American pharmaceuticals business. Before joining SmithKline Beecham, he worked at Schering-Plough. Norgine has appointed Lance Richard as global market access manager, within global marketing. His primary responsibilities are to support pricing, reimbursement and market access for Norgine brands. Lance started his career as a clinical pharmacist in South Africa before moving into the field of health economics and outcomes research. In his capacity as a health economist, he has worked both in industry and consultancy, having served as senior health economist, global health outcomes research, at UCB Celltech and, more recently, as director of market access at GfK Healthcare. He studied clinical pharmacy at the University of the Witwatersrand in Johannesburg, South Africa, and has a degree in health economics from the University of York. The BioIndustry Association has appointed Scott Johnstone as its director for Scotland. He will work part-time at its Edinburgh office, while retaining his existing part-time role as chief executive officer of Antoxis, the company he founded in 2005. He will also continue his activities as life science business adviser and technology entrepreneur for the Scottish Enterprise Proof of Concept programme. Scott holds a degree in engineering from Edinburgh Napier University and a MBA in business administration from Edinburgh University. United BioSource Corporation has appointed two senior strategists to the London office. Adam Barak joins as head of international pricing and reimbursement. He has more than 13 years of pricing and reimbursement experience in the healthcare industry. Lisbet Coulton takes the role of director of international pricing and re­imbursement, with more than 25 years in the healthcare sector. Her expertise is in market assessments, product commercialisation, and international strategic planning and communications. Quintiles has appointed Damian Colehan as a UK business development director for the commercial business to provide the firm's biopharmaceutical sector with salesforce solutions. Colehan has spent most of his career at Abbott, building up 20 years of expertise in sales, salesforce effectiveness and marketing. His geographical responsibilities have included the UK, Europe, Australia, New Zealand and Saudi Arabia. Euro RSCG Life Medicom has appointed Kaush Gandhi as digital director. Formerly with Unilever and Wyeth, Kaush is a specialist in all forms of digital marketing with a wealth of experience in online marketing for customer acquisition, conversion and retention through data-driven campaigns. He has worked in FMCG, retail and online gaming, and is a specialist in pharmaceuticals. 2020health has taken on Daniel Ekpe as new communications manager. He is a graduate of Cambridge University and has previously worked in healthcare PR. Emma Hill joins as a researcher. She is a graduate in science communication and policy from University College London and has worked for the Wellcome Trust Library in London. Events 4 Healthcare has recruited Jo Walker and Hannah Baker. Jo has worked for the past seven years both in the charity and financial sectors, most recently as head of events and corporate culture at Oliver Wyman in London. Hannah recently completed a history degree at Nottingham University. GalbraithWight have announced the sad news that Dr Maureen Devlin recently lost her battle against cancer. Maureen had addressed this challenge resolutely with intelligence, courage and her unique dry wit. Her fortitude was an inspiration to all who knew her. Born in Liverpool and one of four sisters, Maureen qualified as a pharmacist in Leicester, and in her first pharmacist role turned a run-down business to profit. After gaining a PhD in pharmaceutical microbiology, she joined Glaxo, originally in R&D, moving to customer and professional relations before taking a secondment to the NHS National Primary Care R&D Centre. Following this, she moved into the NHS Affairs team at GSK, where her intelligence, clear thinking and communication skills found a natural home. On leaving GSK, Maureen took on several roles, including working for the National Prescribing Centre and as a member of the consultant team at GalbraithWight. She also found time to write four books, and married Steve only last year. From 2003, Maureen was actively involved with GalbraithWight's NHS activities, was the oracle on NHS matters for many clients, the architect of the knowledge and writing within HSBIS, and the driving force behind GalbraithWight's Expert Network.